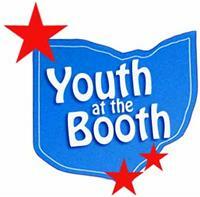 W ashington County Board of Elections participates in a program endorsed by the Secretary of State entitiled 'Youth at the Booth'. Youth at the Booth gives students a real life civics lesson in the voting process at the same time it provides them with a meaningful community service activity. We encourage students to become involved. High School seniors who are age 17 or older will have the opportunity to participate as official poll workers, even if they are not 18 at the time of the election. They will be given a stipend for training and near minimum wage for serving as a poll worker election day. You can read more key points of the program here. Letters are sent to the school principal. They name a teacher/coordinator for the program. Students must have their parents fill out a permission form. A student may check the Board of Elections website to confirm his/her registration. They should print their registration sheet and return it to their teacher. Each student MUST commit to come to a 2 ½ hour training and work the entire day on Election Day. This requires informing teachers, coaches, and employers and entering it on their calendar. Each student MUST provide their own transportation to the polls on Election Day. What if I can't stay the entire Election Day? Why do I have to select a political party?